The following is a list of the awards given out at the 2018 Massillon Tiger Football Banquet. MASSILLON The state championship game is still fresh in the minds of Massillon football players. And it probably will be for a long time. But not necessarily in a bad way. They remember the comeback. How McKinley’s home, Tom Benson Hall of Fame Stadium, turned into a version of Paul Brown Tiger Stadium for a night. How pandemonium ensued when Aydrik Ford took Aidan Longwell’s pass 67 yards to the house to bring the Tigers within six points after trailing by four touchdowns at halftime. The teenagers sitting in banquet hall of the Massillon Knights of Columbus accomplished something few Massillon teams of recent memory have. Not all end-of-the-season banquets are created equal, but the Tigers certainly had reason to celebrate like no other team in Stark County this season. And they did just that, once more as a team. Of course, there was much more to reminisce on that the state championship game for the Tigers. Head coach Nate Moore detailed almost every one of Massillon’s 14 wins from the podium as players, coaches, parents and fans polished off their ice cream. There was the 46-40 win over East St. Louis, the closest anyone came to ruining Massillon’s perfect regular season. And the 101-point game against Sun Valley the very next week, the furthest anyone came to ruining Massillon’s perfect season. And of course, the McKinley game. Most players in the room had never lost to McKinley as varsity lettermen. In fact, Jamir Thomas was the only player who lettered on the 2015 team, the last one to lose to the Bulldogs. As often as the Tigers’ state title game run came up, beating McKinley followed. “(Beating McKinley) is one of the best feelings you can feel in high school football,” senior linebacker Cameron Sunkle said. 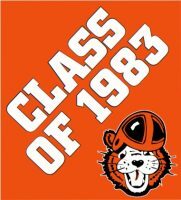 But what set this Massillon team apart from many of the teams of decade’s past was the run to Canton. These Tigers were the fourth team to make it all the way to the state championship game since, joining the 1980,1982 and 2005 Tigers. It was a run that brought hundreds of Tigers fans out to Lincoln Way whenever they traveled home from playoff games. It was a run that spawned unlikely heroes, like Zach Catrone’s three-touchdown performance off the bench when the starting QB Longwell went down, and grew the stars of Division I college recruits like Thomas and Morgan. And it was a run that ultimately came up short, but still ended in a thrilling main event against Akron Archbishop Hoban, bringing out 16,213 fans to Benson Stadium on a rainy November Thursday night. Even though Hoban ended the night as the state champion, everybody on the Massillon sideline will remember the explosion when Ford scored to make it a one-score game early in the fourth quarter first. And even those most devastated by the loss can take heart in one thing: they left the program in better shape than when they entered it.